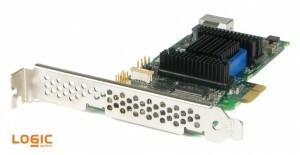 With the recent addition of the Adaptec RAID 6405 Controller Card to our product lineup, we’ve been fielding an increasing number of questions from clients about the uses of RAID for industrial applications and how an expansion card differs from the on-board RAID capabilities of many of our systems. In the past RAID arrays have been largely controlled by expansion cards like the aforementioned Adaptec controller, but many modern motherboards now include built-in support for some types of arrays. The question is, in what instances do you still need a dedicated controller card and what are the most common uses and advantages of on-board RAID? RAID stands for Redundant Array of Independent Disks (originally Inexpensive Disks), and allows you to use 2 or more drives to create an array, which is recognized as a single storage location by your computer. The primary advantages of a RAID array are data security, thanks to the storing of duplicate copies of your data on multiple drives (known as mirroring), and speed, which is the result of writing and then reading data from multiple drives at once, taking advantage of the maximum data transfer rate of each drive in a process known as data striping. What are the Most Commonly Used RAID Modes? 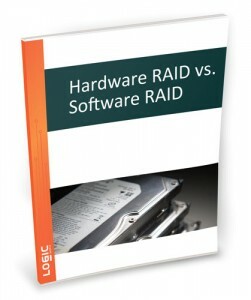 Click to download our free Hardware vs Software RAID guide. 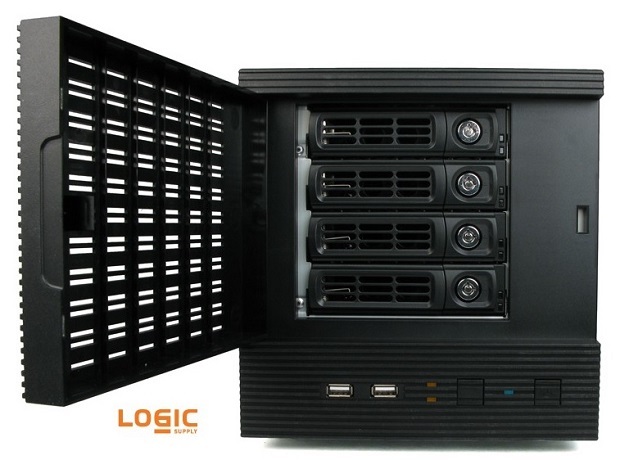 Many of our industrial and embedded clients utilize RAID arrays in their projects in order to protect important data and enhance the operational speed of equipment that depends on information being read from and written to hard disks. While there are many forms of RAID involving differing numbers of disks and various combinations of features, the vast majority of the questions we receive involve the three simplest modes. RAID 0 – Often referred to as striping, and generally utilized to increase operational speed, RAID 0 writes alternating sections of your data to multiple drives. Because you’re able to read and write data from multiple disks at the same time there is the potential for significantly increased data handling speeds. However, in a two-disk RAID 0 setup, if one disc fails then all data is lost since no one disk holds all of the information. RAID 1 – Generally referred to as mirroring and primarily employed for enhanced data security, RAID 1 is what most users think of when they’re considering implementing a RAID array. RAID 1 writes a duplicate copy of your data to multiple drives, giving you the peace of mind in knowing that even if one drive fails you have a backup copy of your information. Many systems intended for use in storage arrays, like our SVL-A7879, include hot-swap bays which allow for disks to be replaced while the system is still in use. RAID 0+1 – A combination of the best features of both RAID 0 and RAID 1, this array setup requires the use of at least three drives (and more commonly uses 4) to stripe data across multiple drives while simultaneously duplicating that same information to additional drives. In this setup you receive the speed bonuses of RAID 0 and the data redundancy advantages of RAID 1. What Modes Does On-Board RAID Support? The complexity of a supported RAID setup will depend on the particular motherboard you’re using, but in general most boards that support RAID will be able to handle some form of RAID 0 or 1, with many fully capable of controlling a 0+1 array. Of course, a dedicated controller will likely come packaged with more advanced features and capabilities to allow for more intricate control of array settings. However, for the majority of users interested in achieving moderate performance speed increases or basic data redundancy, those goals can often be achieved with the RAID functionality built into many of today’s motherboards. When Should You Consider An Add-On RAID Controller? Even with the enhanced on-board capabilities of modern systems, there are still a number of instances where a dedicated controller is a sound investment. The most obvious situation stems from the fact that not all motherboard support on-board RAID. If you need to set up data redundancy or stiping on a legacy system, installing a RAID card is a simple procedure that can have you up and running quickly. We occasionally work with clients who are interested in implementing more complex array setups involving multiple hard drives in various configurations. When executing the other forms of RAID (additional modes may stripe data at the bit or byte level paired with duplication) we often recommend a dedicated controller to ensure proper implementation and allow for more exact control over array setup and maintenance. Every redundant array application will have its own variables and requirements. The best way to determine if the included RAID functionality of a system will be sufficient for your needs is to speak with one of our technical sales experts. If you’re considering a RAID setup for your industrial application, or have questions about how RAID could benefit your business, give us a call. Be mindful of hard errors which are the reason that RAID no longer lives up to its original promise. If one of the drives fails, then during the rebuild if you get an error – the entire array will die. SATA drives are commonly specified with an unrecoverable read error rate (URE) of 10^14. Which means that once every 12.5 terabytes, the disk will not be able to read a sector back to you.